The Middle Stump: Scotty Too Hotty! One name that has to be added to that list is Scott Phillips. An 18 year old fast bowler who dreams of making it in the game. The Middle Stump caught up with him after Glamorgan Academy nets. TMS: Scott, thanks for agreeing to do a Q&A with The Middle Stump. Are you enjoying it so far? SP: It’s a great site. It’s made me laugh from day one! TMS: You’re an Ex Coedcae boy aren’t you, are you still studying? SP: Yeh, I left with 10 G.C.S.E's. 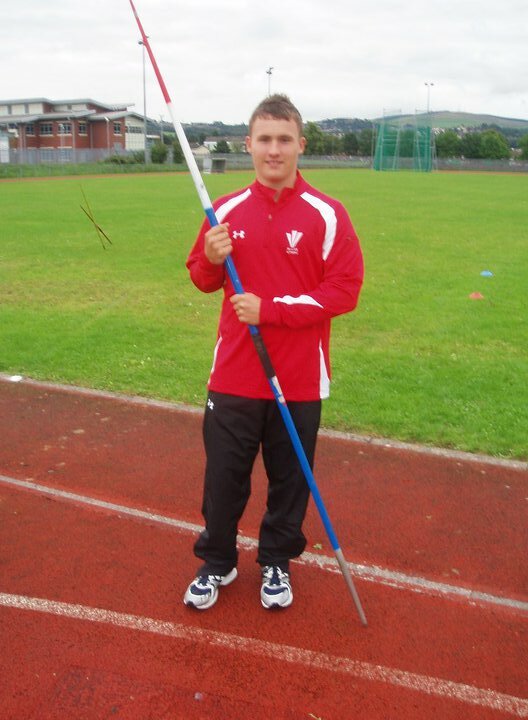 I am currently in my second year at Gower College Swansea where I study Sports Science. TMS: Do you go to college full time? When do you train for the glam academy? SP: College is full time but I do miss alot due to academy commitments. The academy train every Wednesday evening at Neath and on a Sunday at Cardiff but also during the week we have our gym programs to carry out. TMS: What does an average day at the academy consist of? An average day at the academy consists for me of waking at 6am for breakfast and to leave Llanelli at 7:30am for a 9:00am start at Cardiff. Our session lasts from 9:00am until 1pm. We have quite a lenghty warm up including stretches, conditioning and fielding practices. Then the nets last around an hour and half where we use different bowling machines for the batters to practice different shots and we use different scenarios for the bowlers e.g bowling at the death and middle of the innings bowling. We then go to the gym behind the nets for an hours session and on selected Sundays we have psychology and personal development sessions which also last for an hour. TMS: Who runs the Academy? 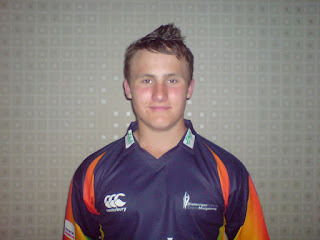 The academy co-ordinator is Richard Almond who also is the Glamorgan 2nd team coach. The academy is great because it gives us an early insight into what it's like to be a professional cricketer and what commitments it includes. It also teaches us about the external factors of cricket, which at club level I had never been exposed to before such as the psychological side of things and also the personal side of things. TMS: How quick are you bowling? SP: At the end of last season I went up to Lords to get officially clocked with the Hawk Eye system and my fastest delivery was at 84.3mph so hopefully I can produce that in the games this year. I have had a great winter and I do feel quicker than last year so I hopefully I can take it into the games. TMS: Who is the best player you have played with and against? SP: The best player I have played against has to be Daniel-Bell-Drummond. I played against him up Milfield for Wales U17's and he hit the quickest and best 115* I had ever seen ! I just did not know what to do next, I could not think of how to bowl to him because everything I tried and I think I speak for all our bowlers in the team in saying that he literally put anything and everything away! The best player I have played with is quite difficult. I haven't played with many pro's only Graham Wagg and David Brown from Glamorgan who played with me for Mumbles last year so I think it has to be one of them. TMS: Do you get much advice and help from any of the Glammy 1's? Yes quite alot. Some of the 1sts at Glam often attend our academy training sessions to help out and give us advice such as Mike O'Shea, Ben Wright and David Harrison. Mark Wallace the captain also attends many of our sessions and has quite alot of contact with us as an academy. TMS: Finally, The Middle Stump hears that you were Welsh Javelin Champion? SP: I Wasn't Welsh Champion but I was the best thrower in Wales in 2010 and was the 7th best thrower in the UK also in 2010. 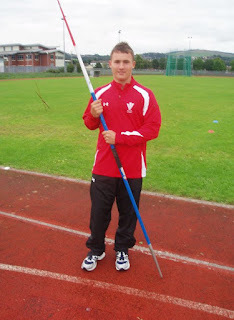 At the end of last season I made the decision to give up Javelin as I had no time for full conditioning sessions with my javelin coach to keep up my strength as I find the actual javelin throw is very closely linked to the Bowling Action, so the conditioning side of it I feel helps with my bowling. Scott is hoping to earn a development contract at Glamorgan and then move onto the playing staff. He is also aiming for an England Development program or a fast bowlers development program. The Middle Stump can’t see anyone stopping him! You've been a continuing inspiration to me Scott. I have now learned in the noble art of lazer shooting. I have also improved my communication skills to 'star command'. Observing you dive through the air has also inspired me to reach the stars, too infinity and beyond. Peace. Why do you wear fake tan? Good lad if he does, it's a better "looking brown" alternative than frying yourself and risking skin cancer.